Having worked at the Lemelson Center for the Study of Invention and Innovation now for almost seven years, I see invention and innovation all around me. Before, my ears might not have perked up when a local brewery mentions that they’ve patented part of their process, or maybe it would have never occurred to me that my favorite office supply didn’t just emerge out of a vacuum—someone had to invent Post-it® Notes! You may be familiar with the story of Samuel Colt and his namesake revolver. You may be less familiar with what is arguably his greatest innovation—introducing mass production to the firearms industry. Prior to Colt, arms were produced by hand, meaning if they broke down in the field, you needed a gunsmith on hand to repair. Mass production allowed for spare, interchangeable parts to be carried into battle, an important innovation. What I find interesting about this story is that it goes beyond the Colt Armory—even teaching this native Connecticutian a few things. After learning precision manufacturing at the Colt Armory, many Hartford mechanics would spin off and start their own companies, often in a completely different industry. Whether producing arms, bicycles, sewing machines, or even automobiles, the skills and the machinery stayed the same. 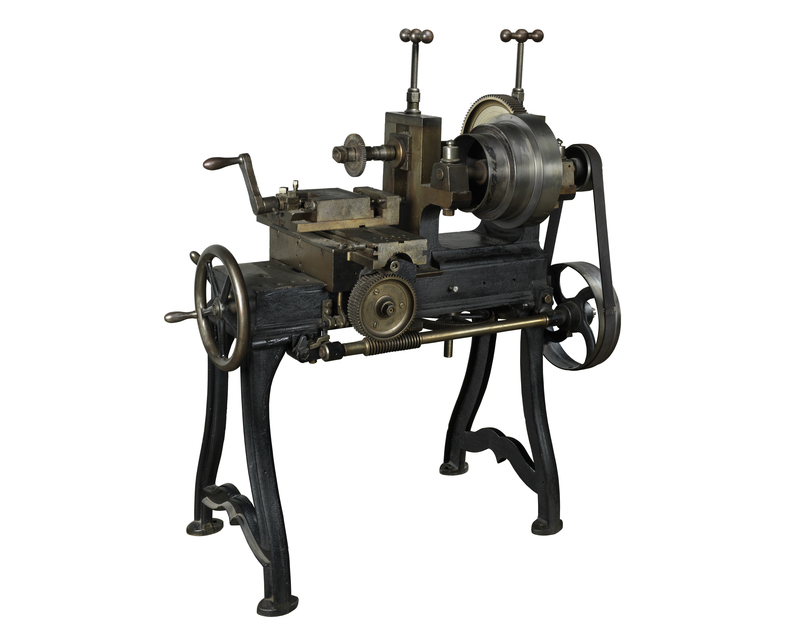 This Lincoln Milling Machine (1861) was manufactured by tool builder George S Lincoln of Hartford’s Phoenix Iron Works and was used in nearly every Hartford factory. Its high-speed rotary cutting blade shaved excess material from a metal workpiece. I couldn’t tell you why, but I missed out on seeing “The Wizard of Oz” until I was in college. Even though I was well-accustomed to high-tech special effects and color films, I was still dazzled by Technicolor. Initially the work of Massachusetts Institute of Technology graduates Herbert Kalmus and Daniel Comstock, along with W. Burton Wescott, Technicolor joined the rest of the burgeoning American film industry in leaving the east coast for the cheap land, varied scenery, mild climate, and reliable sunlight of Hollywood in the 1930s. 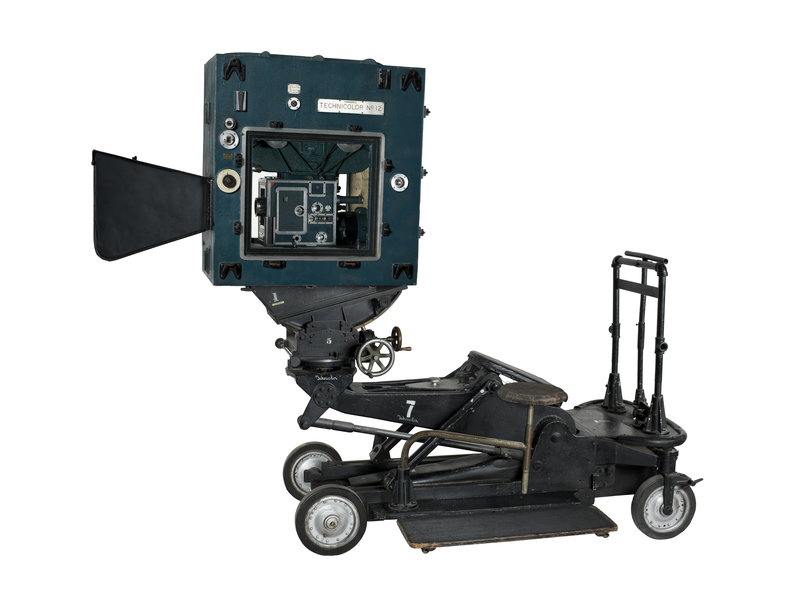 This Technicolor camera (1937) was used to film “The Wizard of Oz” and is based on the patent received by Joseph A. Ball and Gerald F. Rackett in 1937 for the three-strip process, which provided a full range of color. Previous versions only rendered shades of blue-green and red-orange. The three-strip process is what allowed Dorothy to leave behind the grays and browns of Kansas for the new world of rainbow hues in Oz. When you boil it down, invention is really about problem-solving. In 1957, Dr. C. Walton Lillehei, “the father of open-heart surgery,” had a problem: How could he keep a patient’s heartbeat steady and regular in the weeks immediately after surgery? Fortunately, engineer Earl Bakken was a fixture at the University of Minnesota hospital and qualified to help solve this problem in a few ways—firstly, he was a risk-taking electrical engineer and co-founder of a (then) small company called Medtronic, Inc. that often repaired hospital machines; secondly, he didn’t mind the sight of blood. Inspired by a Popular Electronics article about a metronome circuit that used the newly-invented transistor, Earl got to tinkering in his garage. After four weeks, he emerged with a prototype external cardiac pacemaker, which was put into use just days later by Lillehei on a young patient. This is Medtronic 5800 Model External Pacemaker might be from 1972, but it debuted in 1958 and was the first commercial version of Earl Bakken’s external transistorized cardiac pacemaker. It connected to the patient’s heart through the skin and was worn in a sling. 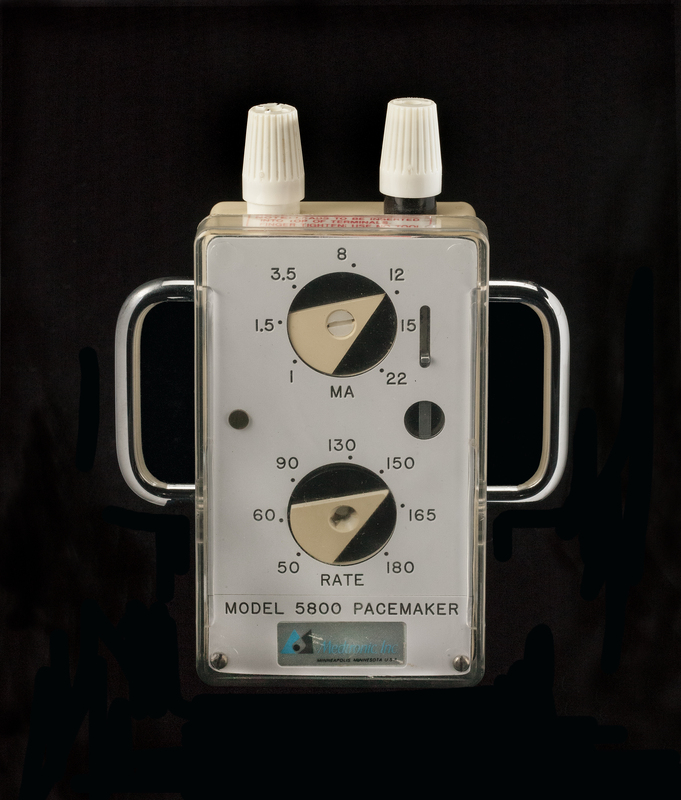 Medtronic 5800 Model External Pacemaker, about 1972. Today, hip-hop is a cultural behemoth, but it was born in an economically and physically devastated neighborhood in New York City. The first generation of hip-hop artists were influenced by the rich and diverse musical traditions of their neighbors, and scavenged the urban landscape for raw materials. DJs used their family’s sound systems and mined the Bronx’s abandoned buildings, cars, and streets for components they need to craft the “best” sound system. This equipment was re-worked, re-imagined, and re-wired and then paired with newly created techniques for manipulating records. Many of the techniques now considered iconic aspects of hip-hop were invented during this time period in the Bronx: DJ Kool Herc’s massive bass heavy sound system; Afrika Bambaataa’s mixing selections of songs and sounds; GrandWizzard Theodore’s “scratching.” Grandmaster Flash was known for his physical manipulation of records, quick-mixing, and the peek-a-boo system, in which records could be heard through a pair of headphones without the sound coming through the main sound system. 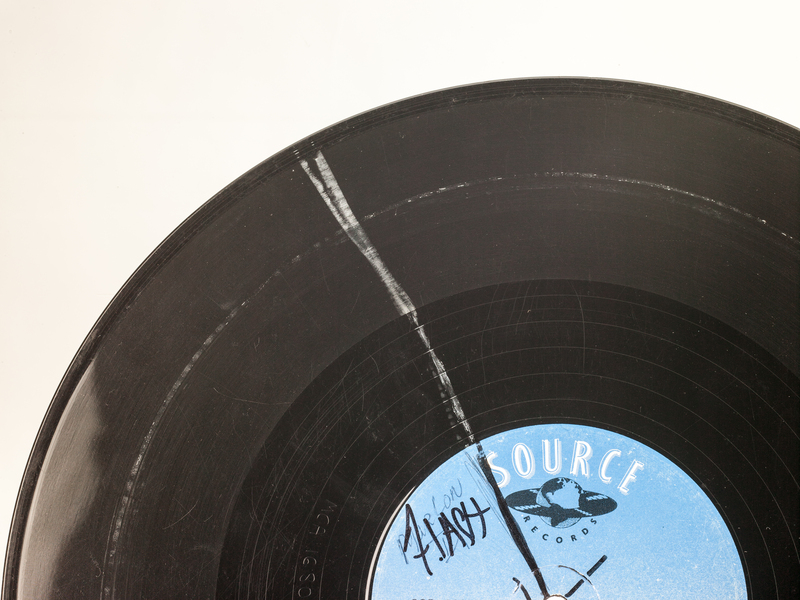 This Chuck Brown record was used by Flash and is a representation of one of his other innovations: “clock theory.” Flash would mark the records to see at a glance where to start and stop the needle. “Bustin’ Loose” Record by Chuck Brown and the Soul Searchers, 1978. In the 1970s and ‘80s, Silicon Valley inventors changed the face of computing with the first “personal” computers, small enough to fit on a desk. One of my favorite objects in the exhibition comes from a time period shortly before personal computers, but certainly had a huge impact and is a device many of us use every day: the mouse. 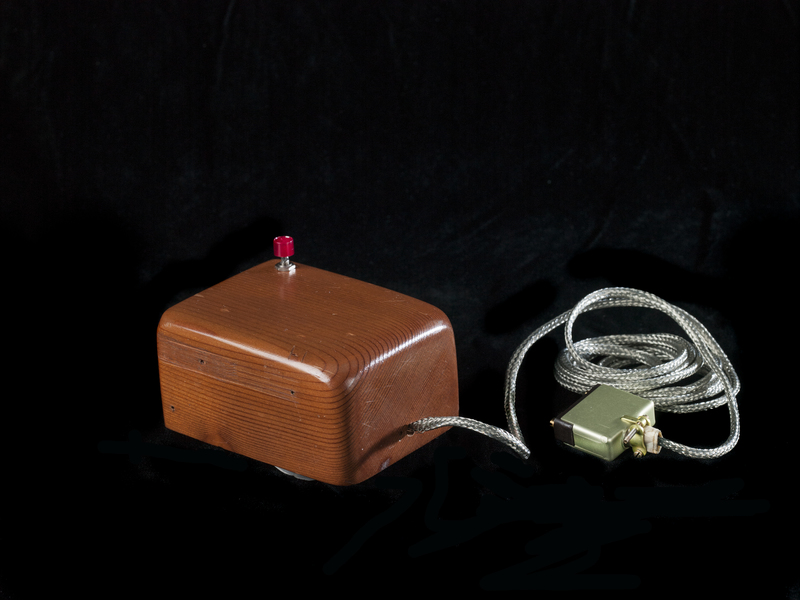 Douglas Engelbart and his colleagues at Stanford Research Institute were pioneers in the field of “human computer interaction.” A lot of the tech innovations we use and still marvel at today—collaborative documents and video communication to name just two—were envisioned and made into reality in Engelbart’s lab—in the 1960s! In 1964, they built a hand-held pointing device to manipulate images and text on a monitor’s screen. 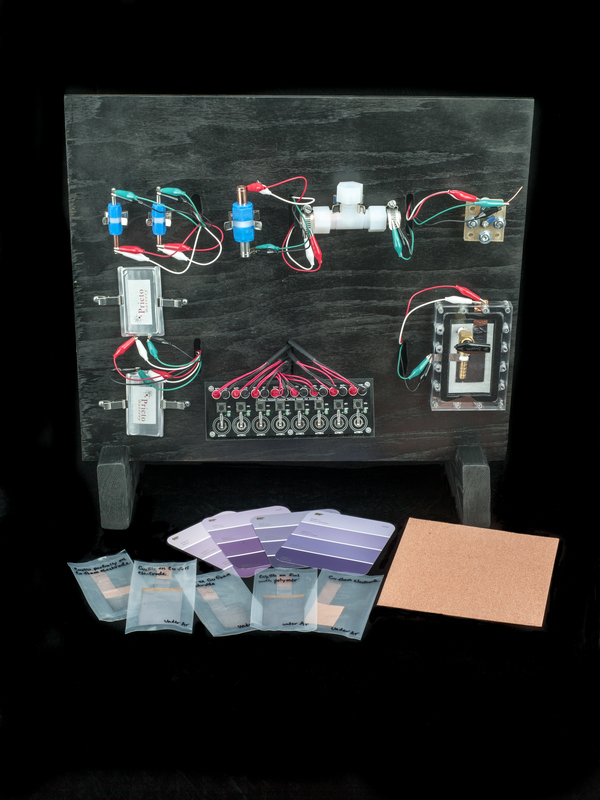 The prototype—on load to us from SRI for the duration of the exhibition—is a simple wooden box with two perpendicular metal wheels, a selection button, and a wire connection to the processor. Engelbart’s “mouse” was refined by researchers at Xerox PARC and made popular with the release of the Apple Macintosh in 1984. While visiting Fort Collins, Colorado, a couple of years ago, I was mainly interested in sampling the local beer scene. Little did I know that New Belgium Brewery, perhaps Fort Collins’ best known brewery, is a great example of sustainable practices. New Belgium diverts 99.9% of its waste away from landfills, generates about 20% of its electricity needs on site, and has developed an innovative internal energy tax to allocate funds for future efficiency and renewable energy projects. Prieto Prototype Battery Components, 2014. At the heart of the Places of Invention exhibition—both in the gallery here at the National Museum of American History and on our website—is a very cool object, one that was created by the Lemelson Center (and some very amazing designers and coders). The interactive map features text, images, and video highlighting innovative communities across the country and around the globe and the factors that made them so. We are sharing the stories we’ve researched—the ones I’ve previewed for you here as well as some other great stories that didn’t make it into the final exhibition—but we need your help to fill up the map! We know that there is an invention story in almost every community out there. The idea of the map is that it will grow exponentially over time as visitors, both on-site and online, contribute their own stories. Place: Why here, why now? Then visit the map at https://invention.si.edu/map. Browse around and see what other people have shared (you can comment on stories too!) then click the “Add A Place of Invention Story.” This will take you to a short form. Fill it out, then check back in a couple of days to see your story on the map. We hope you’ll join us in our exploration of the relationship between place and invention. Visit Places of Invention when it opens at the Museum in the Lemelson Hall of Invention and Innovation on July 1 and make sure your community is represented on the exhibition’s map! Editor's Note: This blog originally appeared in two parts on the National Museum of American History's O Say Can You See?.